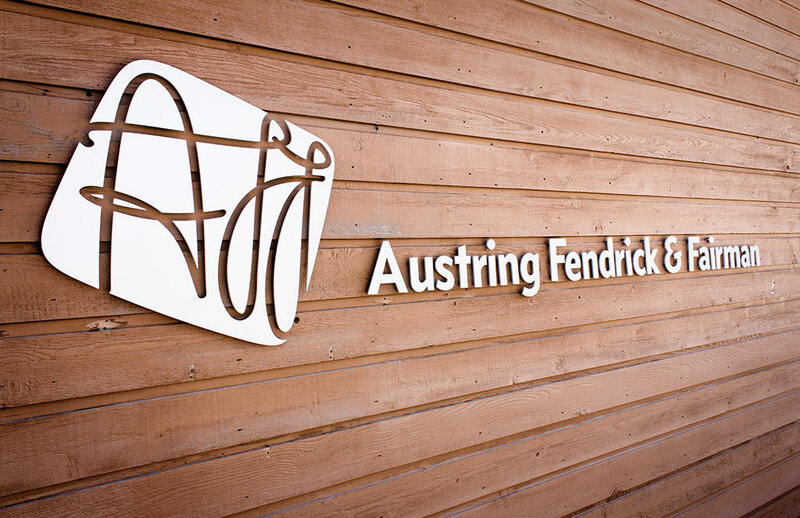 Austring, Fendrick & Fairman was founded in a proud tradition of nurturing the Yukon way of life, taking no small amount of pride in the Yukon law they have helped create and continue to shape. 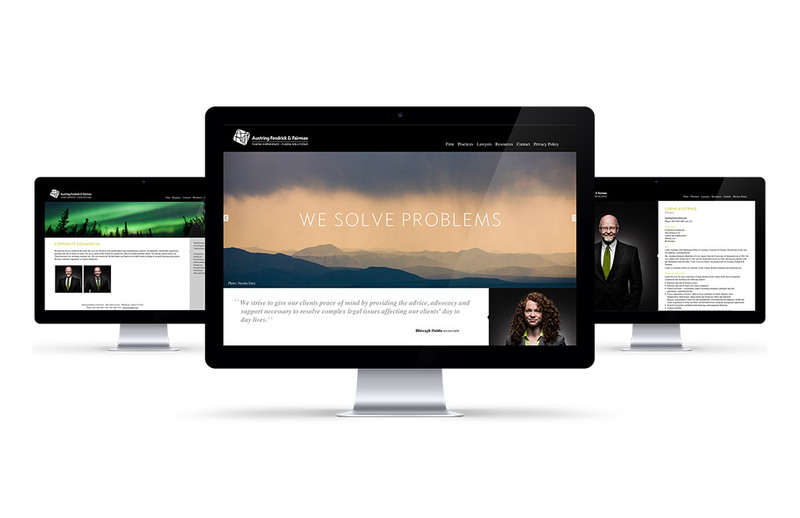 As one of the largest law firms in the North, Austring, Fendrick & Fairman (AFF) needed an updated identity and refreshed website that better reflected their resourceful professionalism in their unique Yukon context. 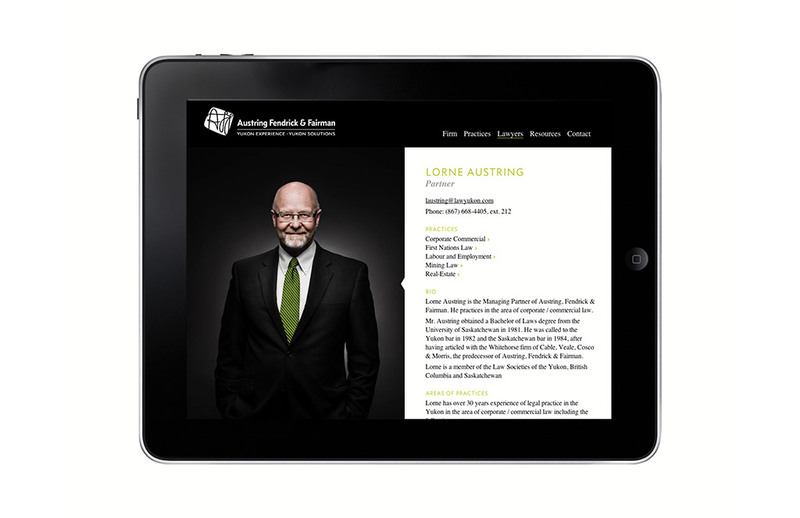 A lawyer’s life is occupied with clarifying, identifying and reflecting the truth. They’re trained to know when something isn’t right, constantly on the lookout for authenticity. That is what they wanted from their project with aasman, an authentic representation of themselves to the world. 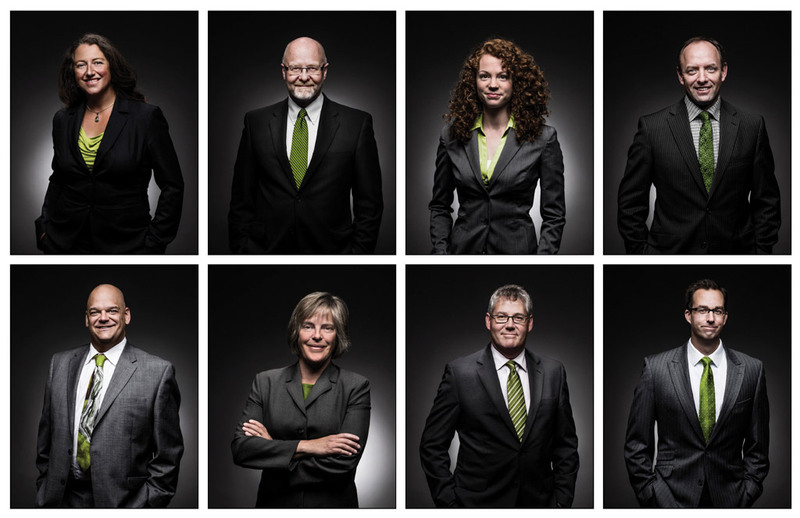 An internal audit to identify the AFF brand personality, a portrait photo shoot to capture it, and a new website with supporting collateral positioned AFF as the professional northern lawyers that they are. The first step to uncovering an authentic brand is to take a look at the internal culture, operating practices and skill set of an organization. 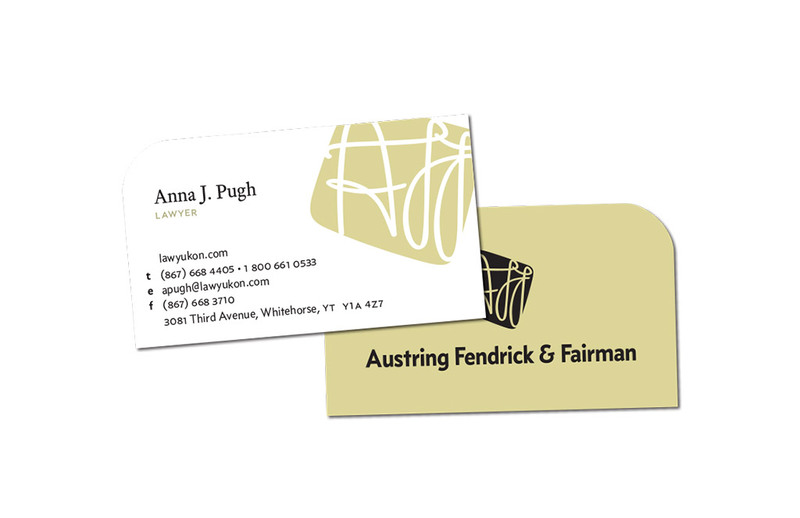 We went through a brand discovery workshop with AFF that helped us position them with an authentic brand position. You don’t have to look under the hood to know a Ferrari is a marvel of modern engineering, one glance and you’re convinced. AFF needed to inspire that sort of confidence in their own abilities so we put together a photo shoot with GBP Creative that captured their sharp professionalism balanced with their friendly northern roots. After clarifying the brand and amassing a portfolio of images, it was time to send this well-dressed brand out onto the road. 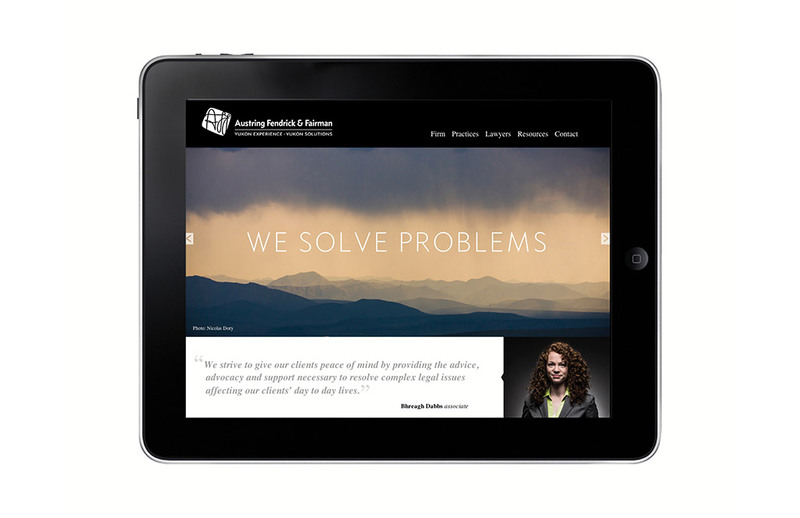 A new website, business collateral and even redesigned office signage have been turning heads since they got the green light.